One of the most challenging aspects of working out, for me, is getting motivated to get to the gym. Or the pool. Or the trail. 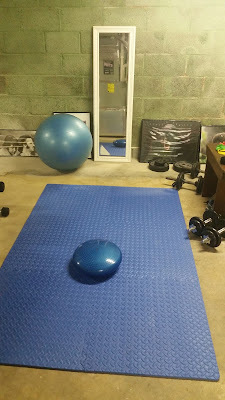 But I've known this about myself for years, so I have slowly been accumulating a home gym. I live in a little house with a big, unfinished basement. Unfinished basements aren't good for much other than storage and...a home gym. It stays cooler than the rest of the house, so I don't over heat while I'm working out. 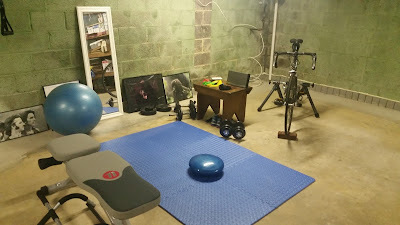 The most recent addition to my home gym is this weight bench, the back of which adjusts to different degrees for different exercises. You can barely see it, but there's a pull-up bar, the kind you put in a door frame, underneath the bench. 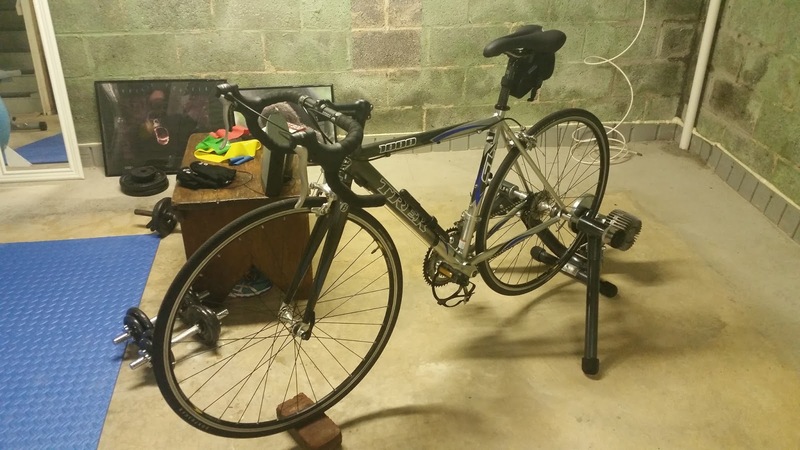 The floor is flat enough to set up my bike and trainer, which I use to warm up before lifting, or as a full cardio work out post-strength training. 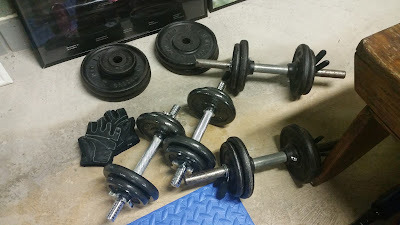 My array of free weights and gloves. 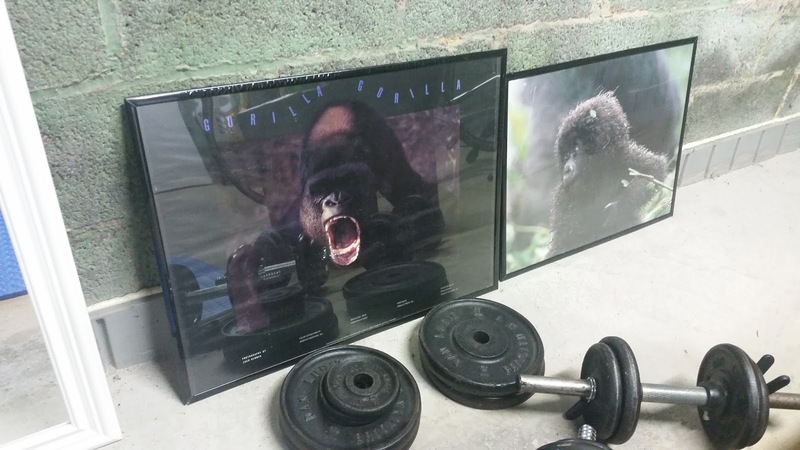 The newer set of weights I bought a few years ago. The older set belonged to my grandfather, who gave it to my mom, who recently gifted it to me. Stereo to play workout music to keep me motivated! 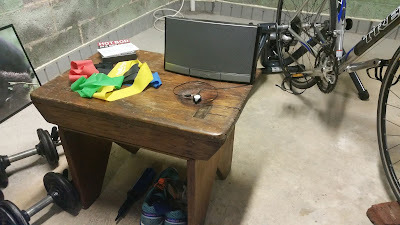 Also pictured are my collection of exercise bands (great for shoulder and other joint stability exercises) and Hot Bod in a Box: a collection of strength-training exercises compiled by Jillian Michaels. And who is this? She's my personal trainer! Can't you just hear her yelling "Just one more! Push it!" Not pictured: my yoga mat, bands, and blocks. I keep them in the living room where I watch yoga DVDs. What are some essential items in your home gym?